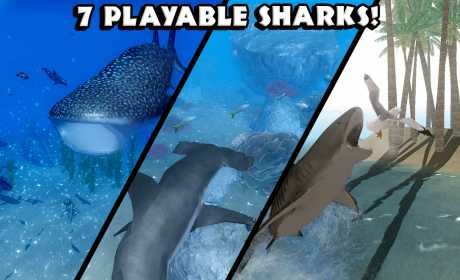 Download the Ultimate Shark Simulator today while it’s 50% OFF for a very limited time! You’ll need to maintain your health, hunger, oxygen, and energy while hunting in treacherous ocean waters! Choose your shark’s name, appearance, skills, and attributes to complement your family members and become a more powerful group! 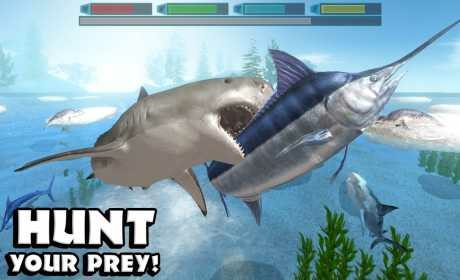 Gain experience by catching and eating your prey, caring for your family, and completing missions! Level up your sharks to increase their health and attack damage, earn points to upgrade your shark’s stats, and increase the size of your school! 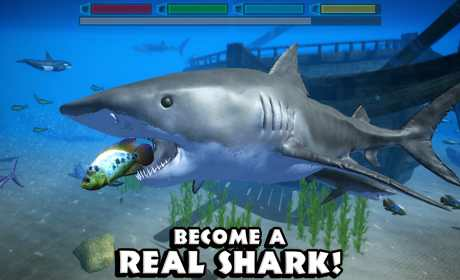 If you liked living as a Shark then you’ll love our other animal simulators! Download our Ultimate Wolf Simulator and live a wild life in the forest, or turn the Ultimate Dinosaur Simulator and discover a long lost Prehistoric World of Dinosaurs!